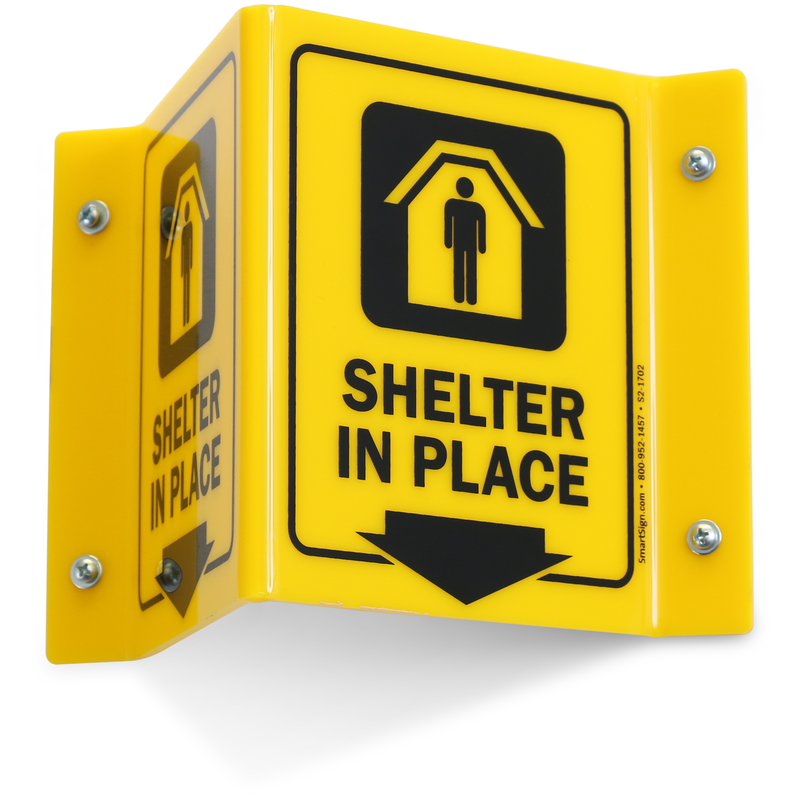 When a Shelter In-Place Warning goes into effect make sure the people in the area know where the nearest safe location is. 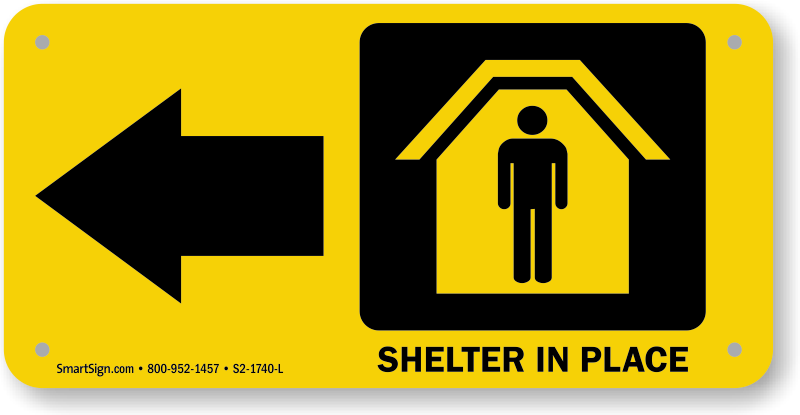 A proper shelter needs to be sealed off to the outside atmosphere in the event of a chemical, biological, radiological or nuclear threat. 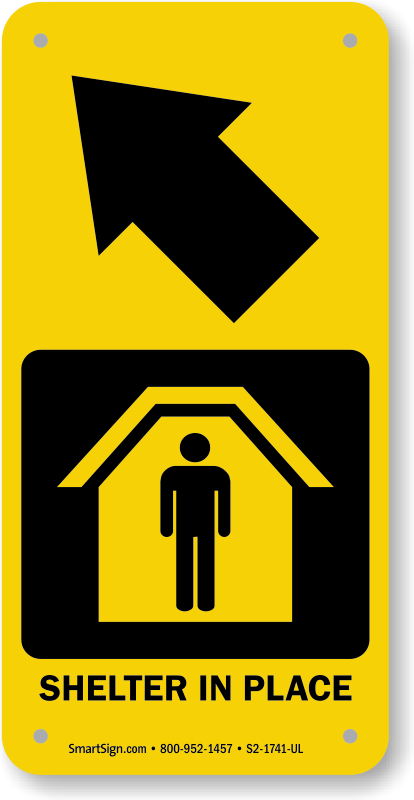 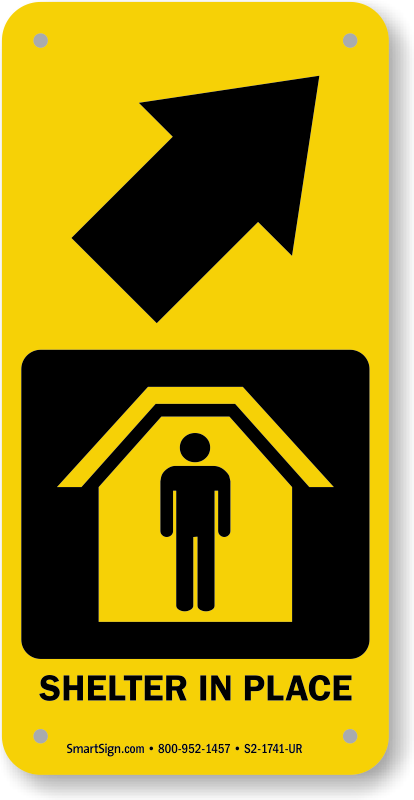 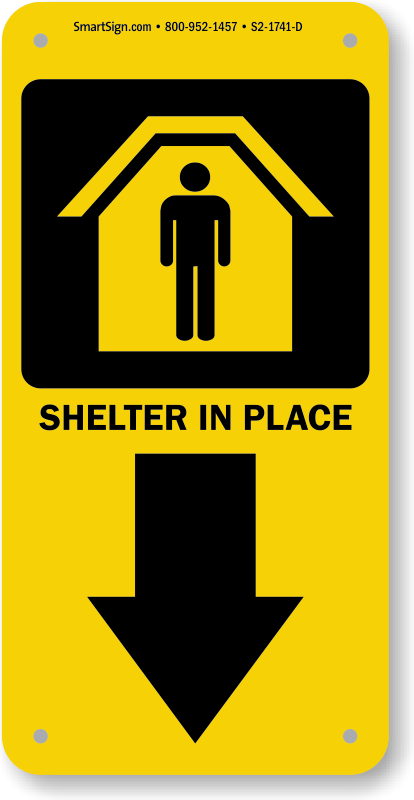 • Once a Shelter In-Place Warning is called residents have to act fast to get to a safe shelter. 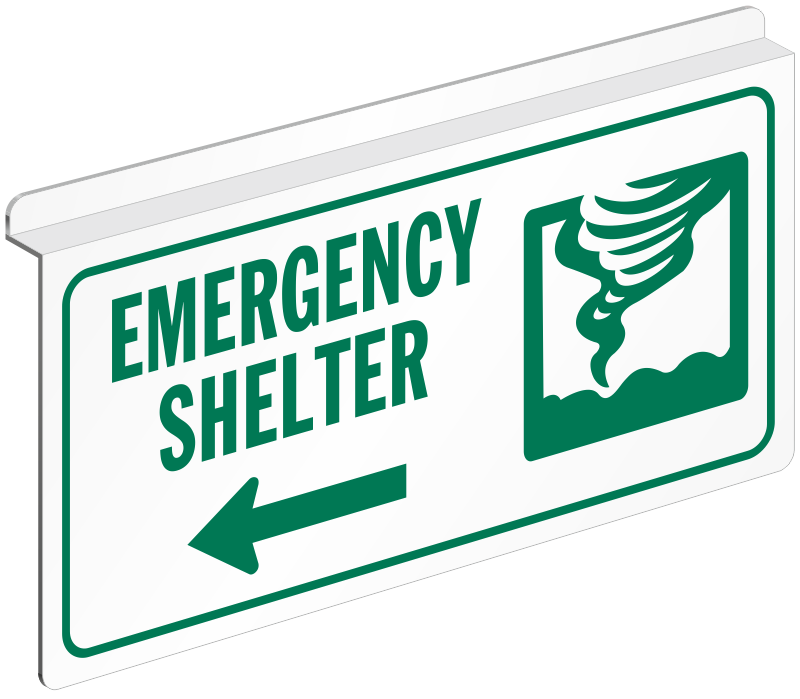 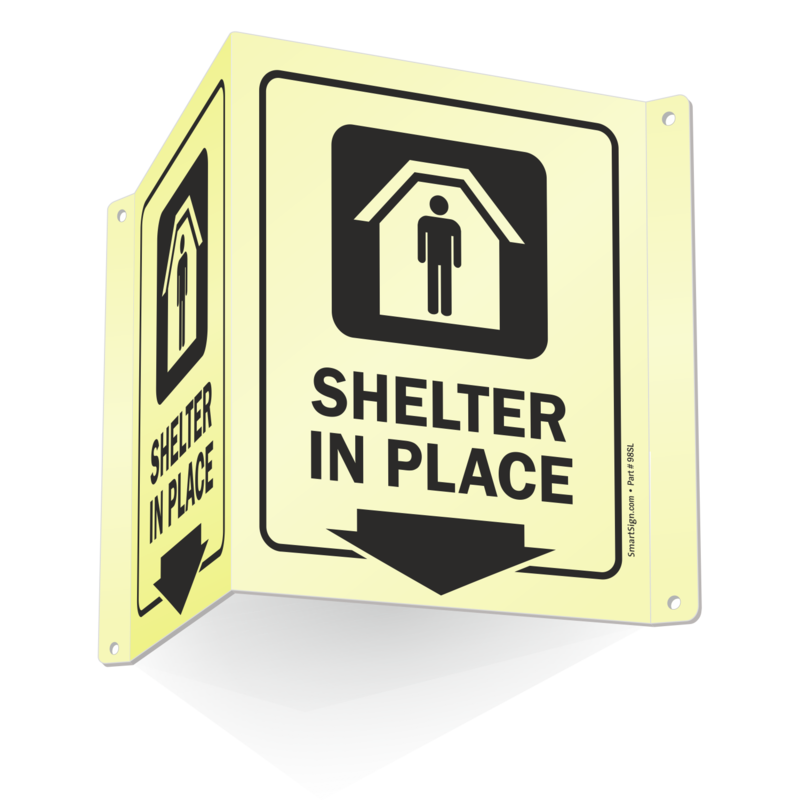 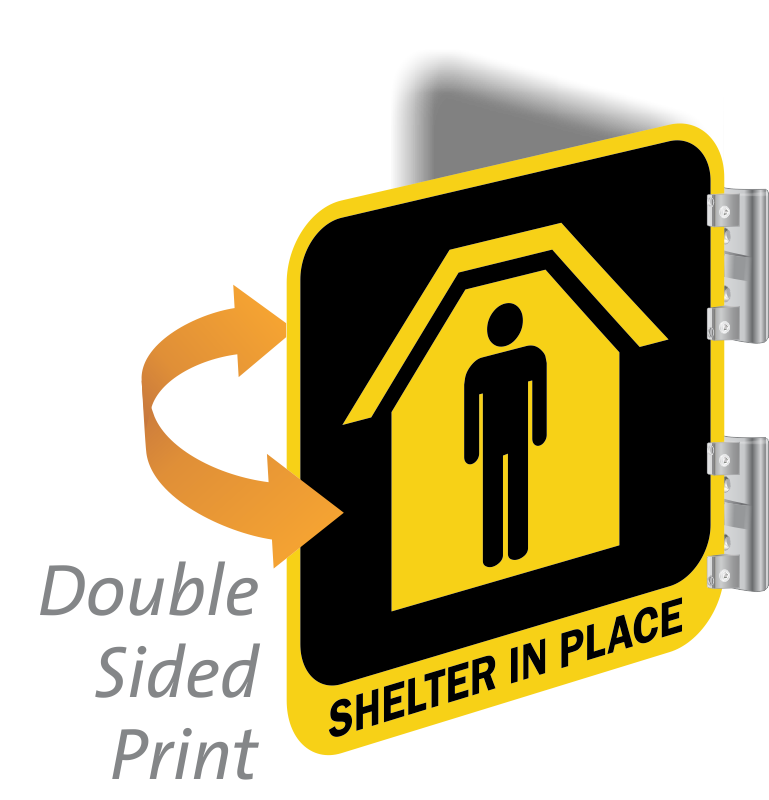 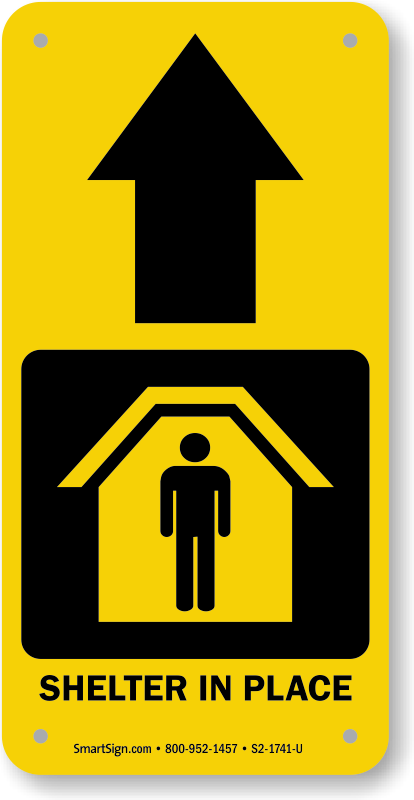 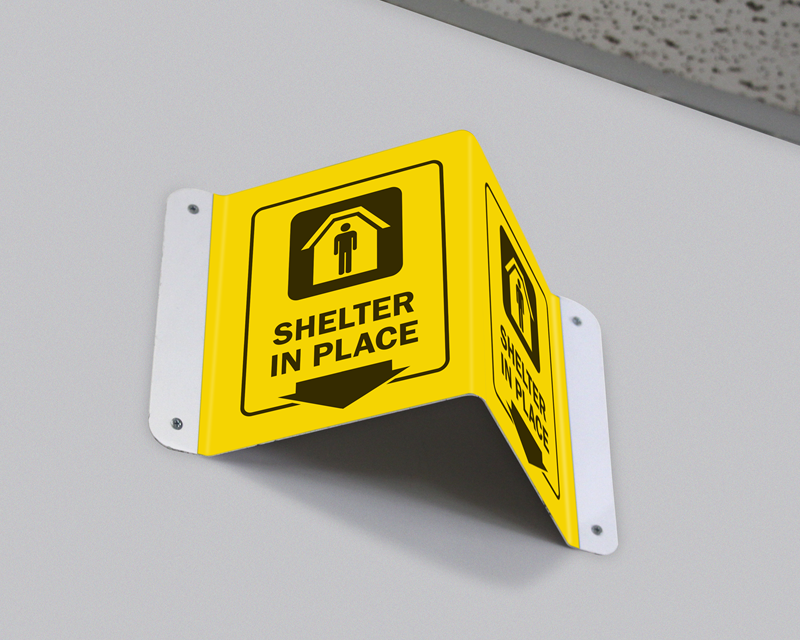 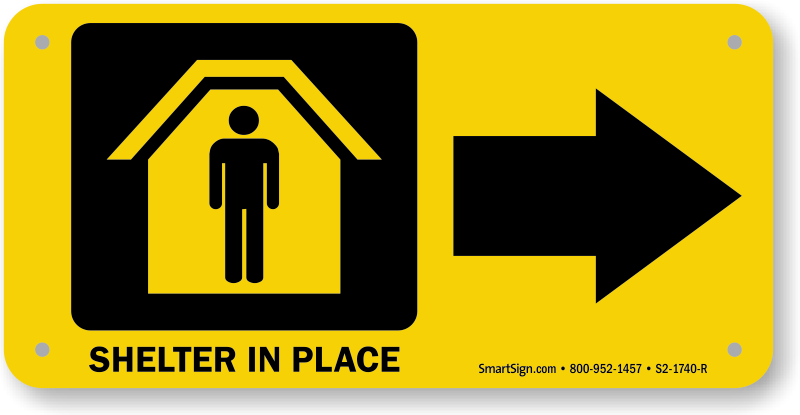 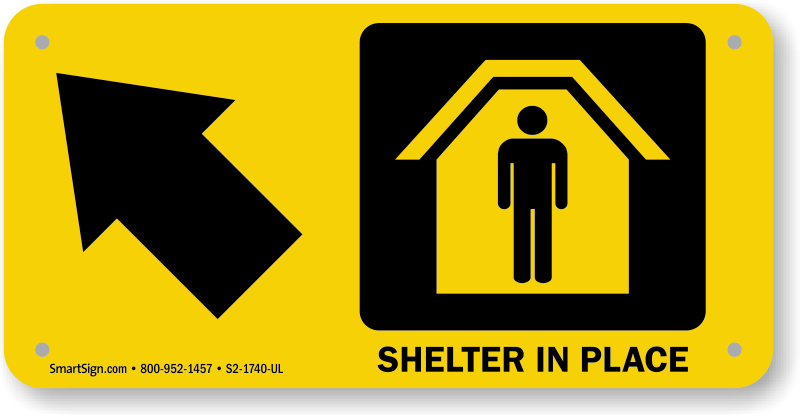 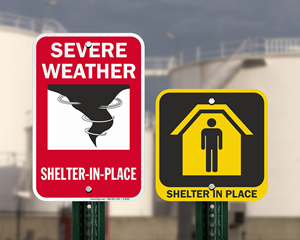 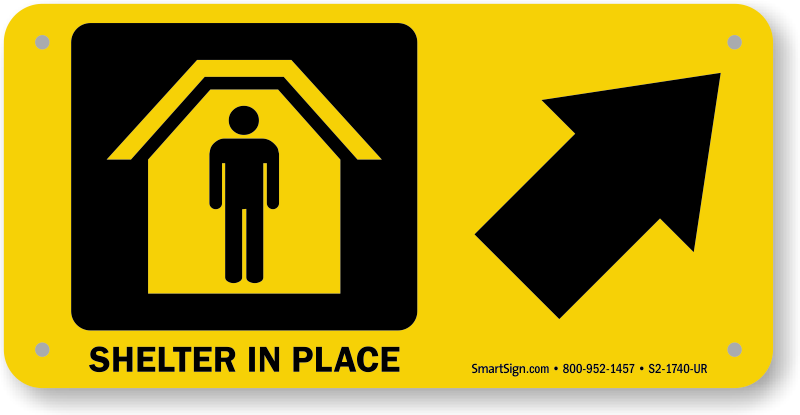 • Signs and labels help make it clear that the shelter will keep individuals safe under hazardous outdoor atmosphere. 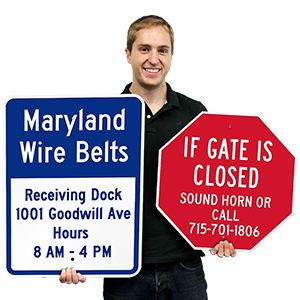 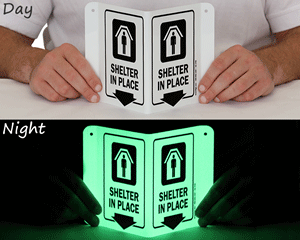 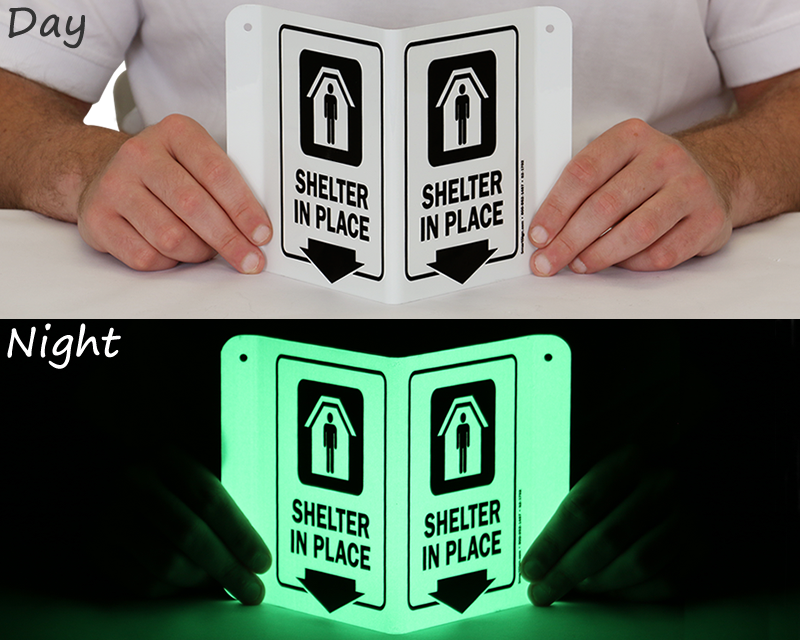 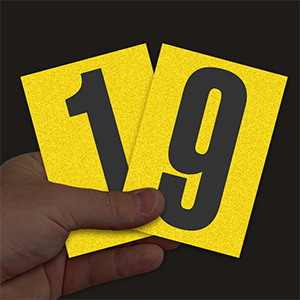 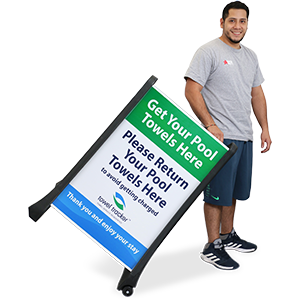 • Signs available in reflective aluminum, glow in the dark, and even fluorescent colors to stand out when an emergency occurs. 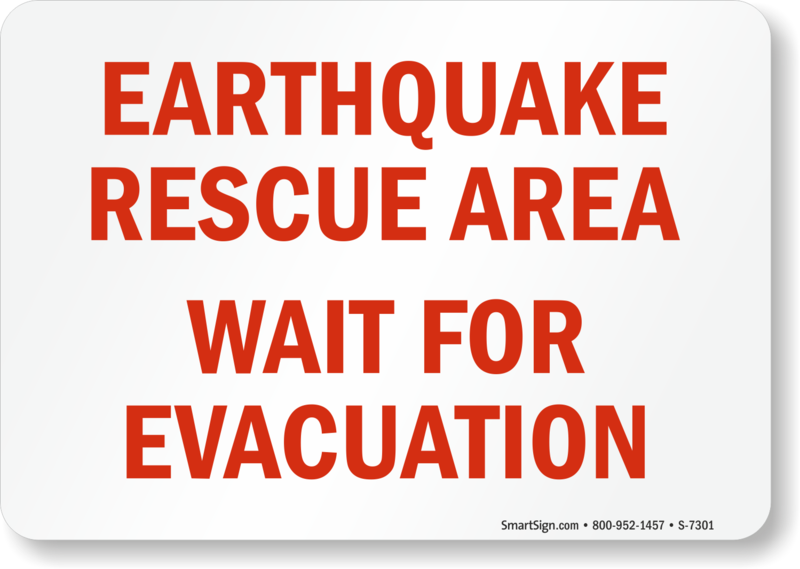 • Choose a custom option to add your own emergency text.